If It's Too Loud...: Newport Folk Festival Update! It's been a while since I've updated everyone with the Newport Folk Festival line up, and it truly just keeps getting more and more outstanding. Since I last gave an update, Newport has added classic musicians such as reggae legend Jimmy Cliff and Grateful Dead lyricist Robert Hunter, established current stars such as a reunited Nickel Creek and Conor Oberst, to next big thing acts like Phox and Reignwolf. I'm particularly excited for Reignwolf, who sound like a more raw version of The White Stripes and The Black Keys. They've also added Rodrigo y Gabriela (somehow making their Newport debut), Puss n Boots featuring Norah Jones, Newport favorite Dawes (pulling double duty as Conor Oberst's backing band), Lucius, Lake Street Dive, The Milk Carton Kids, Gregory Alan Isakov, Lucero, Aoife O'Donovan, Willie Watson of Old Crow Medicine Show, and more! If you're planning on attending Saturday or Sunday and haven't bought tickets, you're out of luck since both days and multi-day passes are sold out. Friday is still available, and since that's the day Band of Horses, Jimmy Cliff, Jenny Lewis, Robert Hunter, The Devil Makes Three, Lake Street Dive, Reignwolf, Death Vessel, and Phox are playing, it might end up being the best day of the festival. 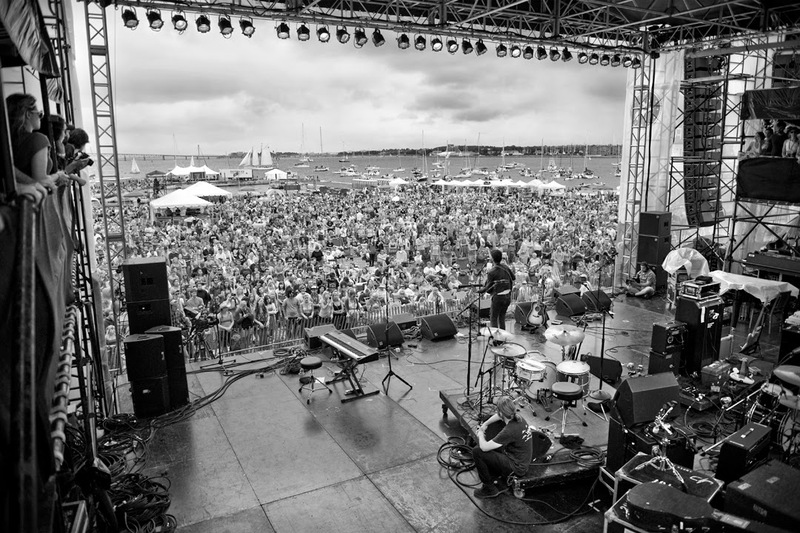 For more information and tickets, head on over to www.newportfolk.org.